By reducing the size of the cell to back within the natural range spectrum we fit more naturally the natural flora of plants not hybridized by man, which is the majority in Nature and thus increase the diet, making it more balanced for overall colony health. This can be seen in a greater range of pollen colors brought into and deposited within our colonies. It also makes for more range in the collection of nectar also for increased health benefits. 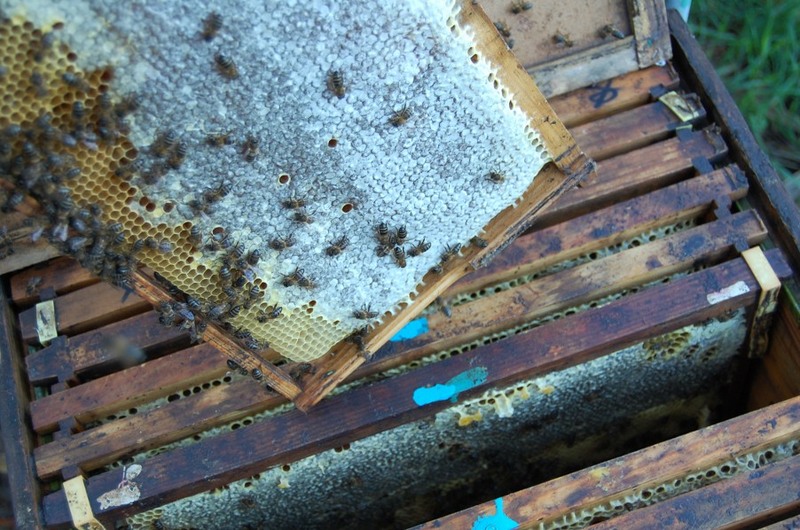 this is quite simple - we must only use honey, wax, propolis and pollen inside of the hive. No use of artificial feeds such as sugar, artificial pollen, etc. I believe it is self-explanatory. An example with humans: honey is taken up completely directly in the digestive tract, while sugar is processed in the liver. If it is processed there, more enzymes and vitamins are consumed. In contrast, honey provides the body with large quantities of vitamins, enzymes and other essential substances. The same also applies to our bees. The bees need a comb full of honey, a comb full of pollen and a comb full of water to breed a comb of bee brood. If we now replace the honey with water, we will have sugar bees whose immune systems of course will not be developed nearly as well as those of bees which were fed on honey. This shows us that feeding the bees with sugar water leads to stress, which we must reduce in all circumstances in order to reach our goal of a disease-resistant bee.